There’s a card for just about everything: credit, debit, gym memberships, you name it. Carry them all and it quickly adds up to one bulky wallet. Coin aims to change that with the new Coin 2.0, a smart card that will replace up to eight of these antiquated plastic bookmarks. 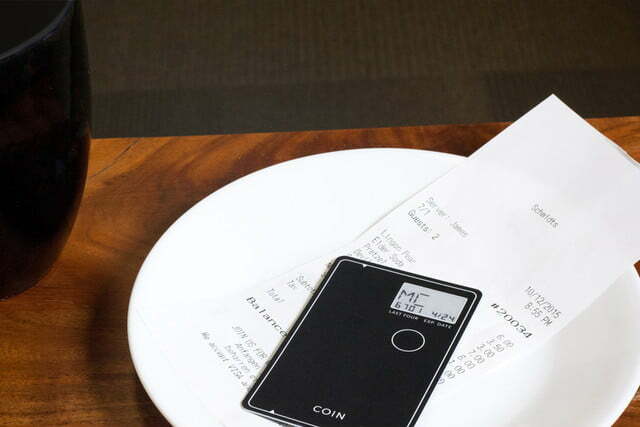 Coin 2.0 works just like a regular credit card with millions of merchants, and can be used at ATMs, gas stations, restaurants, and just about anywhere you can use a credit card. 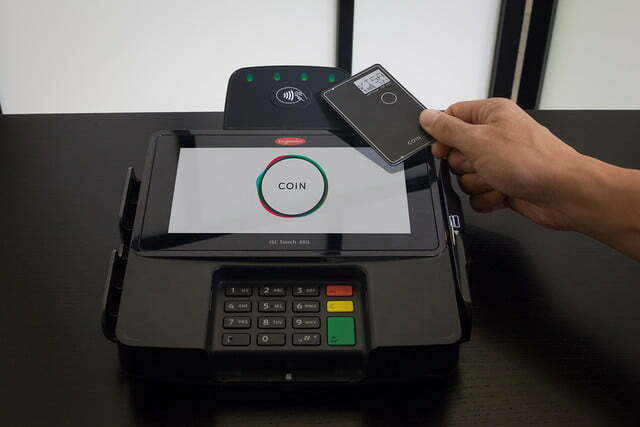 Coin 2.0 has improved on its predecessor in a number of ways. It has a new E-Ink display, a push button to switch between cards, and NFC so you can tap to pay, just like a mobile phone. 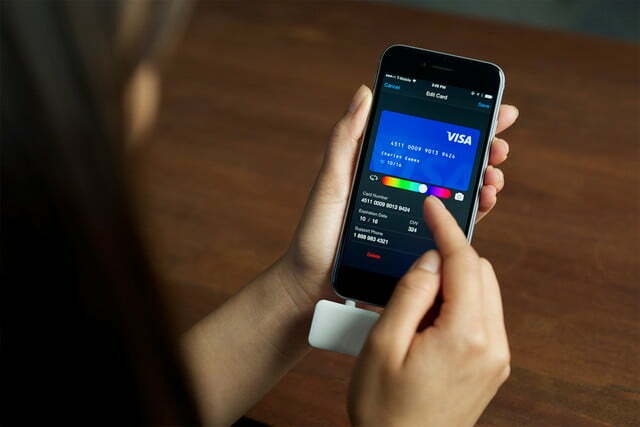 It’s also 8 percent thinner than before, so it shares the same form factor as a regular credit card, and it is also equipped with an EVM chip to work with pin readers. On top of all this, Coin 2.0 brings new security features, so if it’s within range of your phone it will automatically unlock. 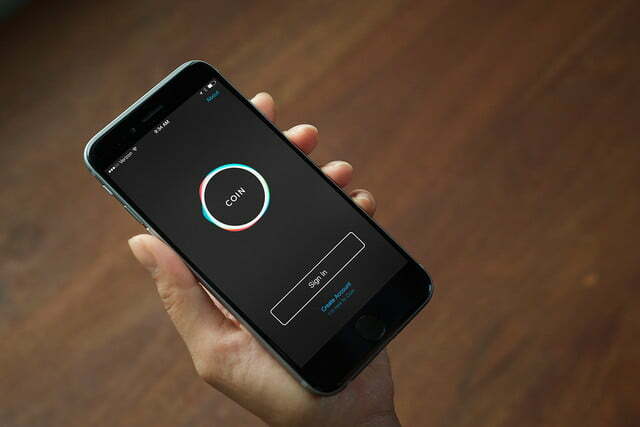 If you do not have your phone with you, a combination can be tapped into its button to unlock it if needed. The Coin app also shows you its last known location on a map. 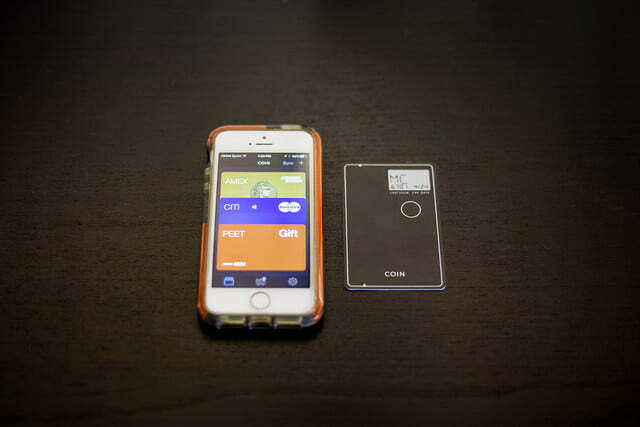 To load cards onto Coin 2.0, you plug the provided card reader into your phone’s headphone jack, and launch the free Coin app. 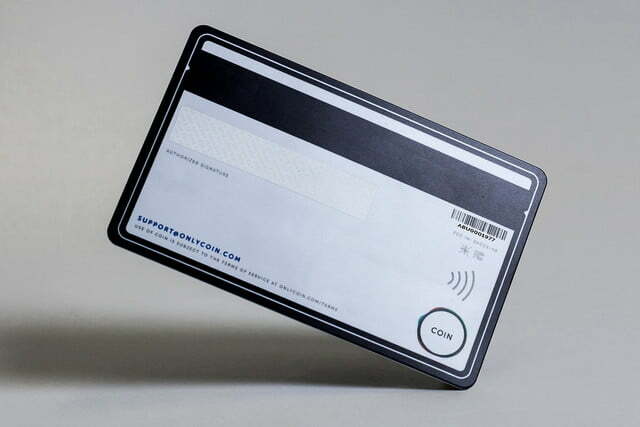 Swipe your card through the reader, add the requested information, and choose the color of your card to be displayed and a four-character nickname. Once you’re done, hit “sync” in the app, then hold Coin 2.0 next to your phone while holding in the card’s physical button. 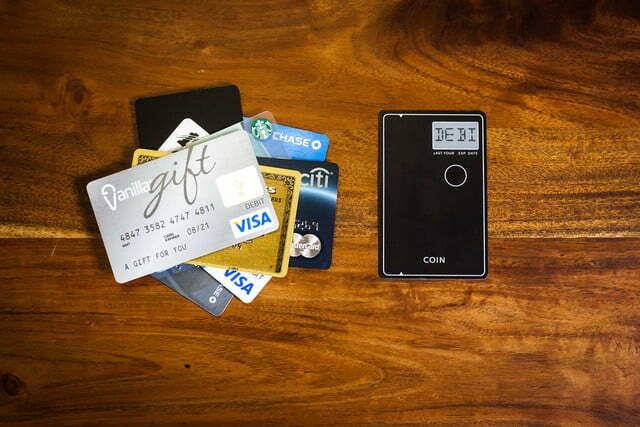 I was able to use Coin 2.0 at just about any location I could use a physical credit card. However, I did come across some locations where Coin 2.0 was not accepted. This is because Coin 2.0 uses the newer Track 2 magnetic strip, and some older card readers only contain a Track 1 reader. This means that Coin 2.0 will not work at all locations, so I did have to have a backup credit card or cash handy just in case. The Coin app has a feature that lets you see on a map whether the store you’re near accepts Coin. 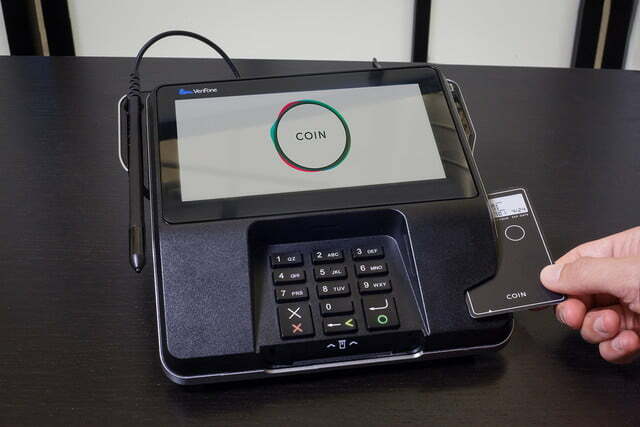 This relies on user feedback, so with Coin being a relatively new device, you will come across stores that have not been marked as compatible yet. You can add stores you’ve discovered to be compatible to share with other users, and Coin 2.0 can also use your location to notify you if you are approaching a store that is known to not be compatible with the device. Coin 2.0 really did help to slim down my wallet, but I still had to have some cash handy just in case. 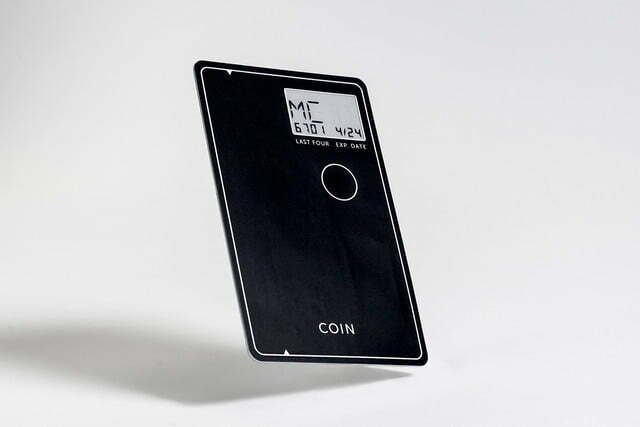 Even if it isn’t yet reliable enough to rely on for every purchase, there’s no denying Coin’s fun factor. It’s different and novel to use, and you’ll probably get asked about it when you pull out Coin 2.0 to make your next purchase.